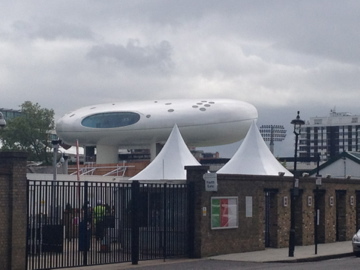 My interest in two great religions were strongly stimulated today – Christianity & Cricket. I started the day without any really firm plans. I new I had till mid morning before my 24hr London Big Bus tour ticket expired, so I did a part of the tour that I didn’t do yesterday. 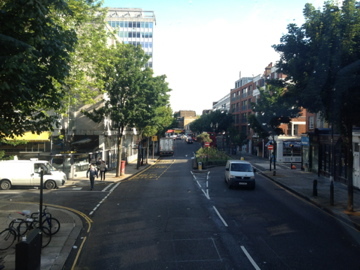 This included a drive through Nottinghill, made famous by Hugh Grant & Julia Roberts (no sign of either of them anyway). From the London eye I rang home which was a highlight. 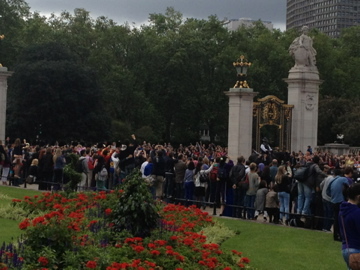 I was hoping to do the Buckingham Palace tour but it was not running, instead I watched the changing of the guard along with about 3000 other tourists. London seems like the place to be at the moment. 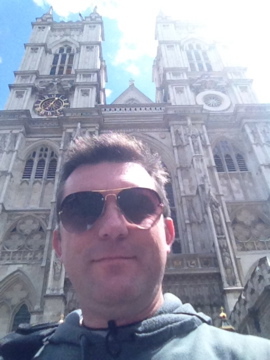 I decided to do the Westminster Abbey tour. 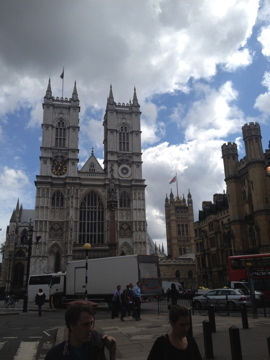 A thousand years of British history in one amazing building. No photos were allowed inside but trust me when tell you I have never walked over the graves of so many significant British identities. Last time I was there, Laurence Olivier wasn’t. 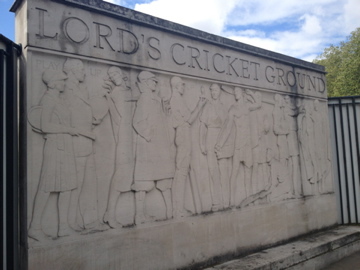 The next stage of my religious pilgrimage was to Lord’s, the home of cricket. Unfortunately for me it was also closed as IOC had taken over the area as an Olympic venue. 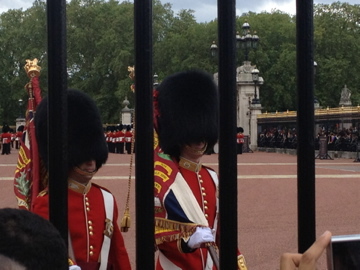 I wonder if that is also why the Buckingham Palace tour was closed. There is no entry for Day 6. 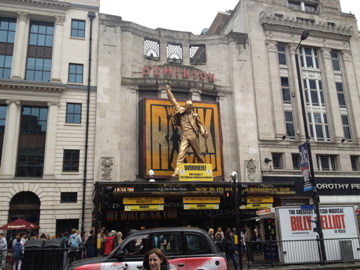 It was a rest day catching up on some school work, doing some laundry and seeing the show ‘We Will Rock You‘ – you can’t stay in London and not see a show! We Will Rock You – now in its 11th year on the West End. A brilliant mix of Queen music, Ben Elton’s sense of humour and stage technologies. Loved it!